I’ve been asked a few times by fellow bloggers recently about life “down under” in Perth, Western Australia. In between continuing my travel journals, I’d like to write a bit more about my family’s adopted home. I’ve reworked a guest post that I originally wrote for Nicole at Mein Leben In Graz to give you some insights to life in Perth and the South West part of Western Australia. Perth, the state capital of Western Australia, is reputedly the “most isolated capital city on earth”. Situated on the western coast of the Australian continent, it is over 2000 km from the nearest capital city of Adelaide, South Australia. Western Australia, itself, covers a land area larger than that of Western Europe! Perth lies in the lower south west corner of the state and between here and the east of the continent lies a vast desert. Suffice to say if you want to go to the other Australian cities you need to fly! If you prefer you can take the slow route and do a road trip across the Nullabor Desert or take the Indian Pacific train (4 days, 3 nights on board!). 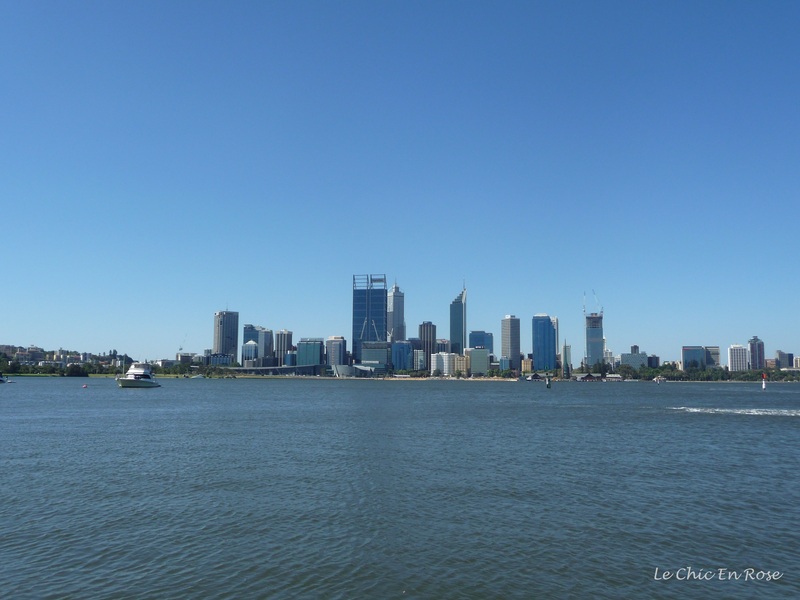 The city has built up around the beautiful Swan River, a wide and open expanse of water affording a natural harbour. The skyline is distinctive and dominated by office buildings mingled with a dwindling few of the old colonial ones. From Barrack Street Jetty on the river front, you can take a cruise down to the port of Fremantle or up river to the Swan Valley to visit wineries and cafes. Talking of cafes, in recent years a vibrant cafe culture has grown up around Perth – with the sunny Mediterranean climate, eating al fresco is highly popular. Kings Park, a large area of natural bushland, lies just to the west of the city centre and you can enjoy wonderful views across the city from the Mount Eliza lookout. At present a new development called Elizabeth Quay is being built on the river front with plans for boardwalks and more cafes and restaurants to take advantage of the wonderful river views. On the south side of the river bank is another of our favourite haunts, the pretty riverside suburb of South Perth with the historical Windsor Hotel being a favourite place to seek refreshments after a trip to the nearby zoo. With its Mediterranean-style climate and proximity to water, Perth is a paradise for water lovers or anyone just wanting to get out into the fresh air. Walking, cycling, swimming and any number of water sports including boating and surfing are enormously popular. Perth’s western suburbs stretch for miles along the coast by the Indian Ocean. Here you could be forgiven for thinking at times that you were in St Tropez! The port city of Fremantle lies about 20 kms along the Swan river from the city centre. Obviously there are roads to get there not just boats! It’s interesting to know other people’s perceptions of Perth sometimes. We once met in the cathedral city of Wells in the West Country of UK, a young man who was a refugee from the Chernobyl disaster in the Ukraine. He was amazed to discover that people actually lived in Western Australia and that there was even a city there – he thought it was just sand, desert and kangaroos! Fremantle has a old world charm that you won’t find in the Perth city centre. It is a working port city, so you can find large container ships and quaysides juxtaposed with boardwalks, pleasure boats and a myriad of restaurants, many of which specialise in fish. Fremantle has also given its name to the famous “Fremantle Doctor”, the cooling breeze that comes in from the Indian Ocean on many days in the summer months, taking the edge off the summer heat and making life far more bearable! Eating fish and chips down by the harbour is highly recommended. Fremantle still retains many of its original colonial buildings including the iconic Esplanade Hotel down near the sea front. There is also more than a small flavour of southern France about some of the buildings. The port city is rich in maritime history and over the years has become a hub for artists, musicians and theatre groups so there are plenty of museums and art galleries to visit too. The weekend markets are also well worth a browse followed up by coffee or lunch. East of the metropolitan area and upstream along the Swan River you reach the Perth Hills, which have a relaxed and more rural feel than the city itself. We especially like the Hills area in the winter when you can enjoy warming meals at the local pubs or restaurants in front of a blazing log fire (yes Perth does have distinct seasons and the winters are much cooler and wetter). Out in small towns such as Pickering Brook in less than an hour you can escape the city for a relaxing day out. Or just a bit further north you can explore the countryside in the Upper Swan Valley or stop at one of the many wineries or restaurants. 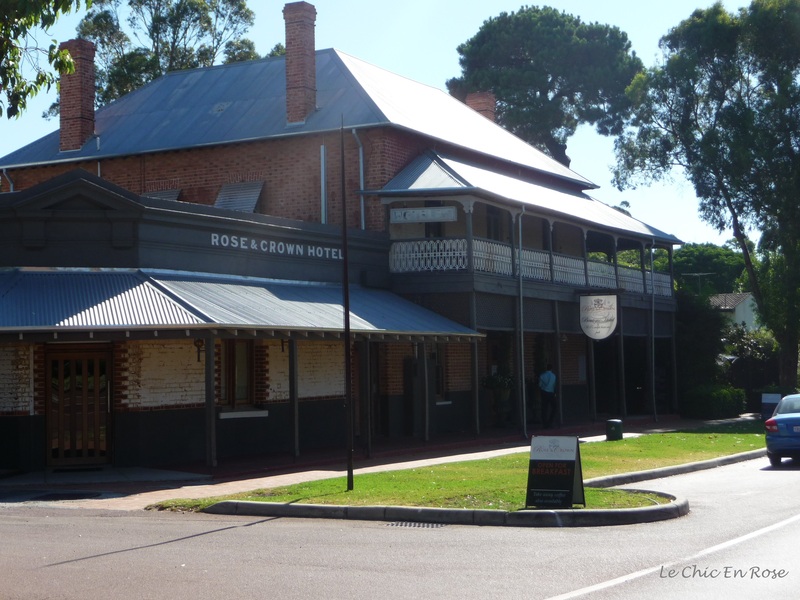 The town of Guildford is one of the most historic in Western Australia (important both in the modern history of European settlement but also as a site of aboriginal settlement) and there are several heritage walks you can do in the area. Lunch at the Rose and Crown Hotel is a very pleasant way to while away the time before or afterwards. Clearly the beautiful Mediterranean climate is a major attraction of life in Perth. Whilst we enjoy the many hours of sunshine, we also love the winters here when wild storms blow in off the ocean and we can rug up indoors – it makes a refreshing change from the summer heat. I couldn’t leave out the Margaret River wine region in my Perth article as it is such a wonderful part of the world! Our favourite season to go there is during the winter months. Blessed with a favourable climate for wine production, this area has become known world wide for its delicious wines. With dairy farms too it also produces many cheeses and tasty chocolate. In the south west Cape area you will find national parks, caves, cafes, restaurants, wineries and many art and craft galleries. About 2 and a half hours drive from Perth it is the perfect destination for a long weekend getaway! I hope you have enjoyed learning a little bit more about my adoptive home town of Perth! Obviously there is so much more to Perth than the brief overview I have given you here. There really is something for everyone to see and do here whatever age or background you come from. 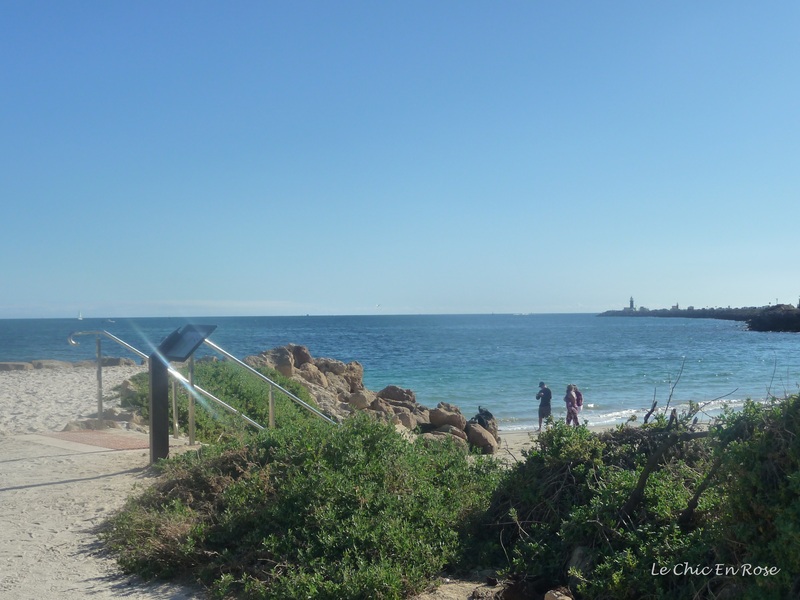 Perth is a walkers’ paradise – there are walking trails along the coast, round the River Swan, a heritage walk round the lovely old town of Guildford and numerous spots in the port city of Fremantle along the boardwalk or down by the sea. 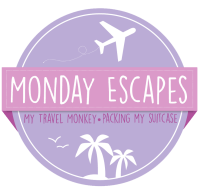 Therefore I’ll link this post with 2 of my favourite blog get-togethers, Restless Jo’s Monday Walks and Allane and Ting over at Monday Escapes! 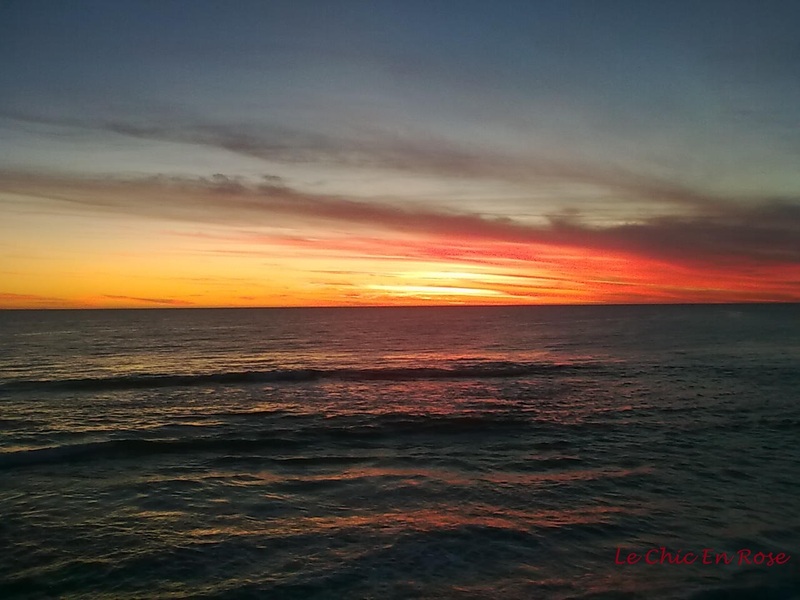 I’ll leave you with a defining photo of Perth – our beautiful daily sunsets over the Indian Ocean! Living in Perth is like walking in a life size painting. I never realised how isolated Perth is! After reading your post I had to take a look at the map. Happy to have you on #MondayEscapes once again! 😀 have a wonderful weekend! I know Allane – I don’t think it’s widely known exactly how isolated Perth is! I know it’s still a long way away but it is actually a fair bit nearer to Europe so it takes a few hours off the flying time than from eastern Australia and New Zealand! The scenery is stunning and this is only the small area in the south west part of the state – the north, which is much warmer and tropical in parts has some wonderful scenery, which we’ve yet to see. I really hope you can come and visit here someday too – am sure you’d love it! Happy to join along with #MondayEscapes again – I’ve been introduced to some more wonderful blogs and bloggers through the blog hop 🙂 It’s a great idea to start the week for everyone! Have a great weekend too! I am happy you are enjoying the link up!! I don’t like the idea of diving in a cage, I rather dive freely. But if the case is a great white, then that’s the only way to dive with them unless you are a professional, or depending on the location. It’s incredible how the weather interferes on the animal’s lives, more than we think. Yes climate and environment are so important. Snakes do come out of hibernation in the spring when the weather warms up and if you go bush walking you do of course have to be aware. Usually they will only attack if interfered with eg if people are trying to remove them. As I said fingers crossed I’ve never seen one but you have to be sensible if you are in bushland (not that we usually are but we do take the dog walking in parks with native bushland so obviously we stick to paths and never pick up anything that looks like a stick – it could be a snake!). Last weekend was unseasonally warm especially on Saturday – it was quite balmy. Now much cooler again – in fact it’s pouring with rain at the moment and feels quite chilly again I have just put the heater on! I certainly don’t fancy the idea of diving in the vicinity of a great white shark you’d have to know what you were doing and hope it had had a huge meal beforehand so wasn’t feeling hungry! Ohh you are right about the snakes, better to stick to your path and not pick up any sticks (I never though about this one). We Brazil we often see snakes crossing the roads, or if you are in a farm, they can be pretty dangerous. Apparently it is possible to mistake a snake for a stick Allane if it is basking in the sun!! I can imagine you’d get quite a few snakes in Brazil with the warm climatic conditions especially out in the country areas. Crocodiles are like sharks – if they’ve had a big meal they won’t be interested in eating you but how would you know whether the crocodile was well fed or not? Best not to find out!! Looks like you’ve picked yourselves a very agreeable spot to settle in, Rosemay 🙂 What brought about the move in the first place? A spirit of adventure or was it work related (or a bit of both 🙂 ) Many thanks for the link. This was so interesting and appealing! I haven’t been to Australia and am not likely to visit–it’s so far! But this area looks gorgeous and appealing–great travelogue! A wonderful summary of your adoptive city. I have been privileged to visit Perth and Fremantle and even Margaret River so some of what you write about is very familiar and as you know my eldest son is now resident in Fremantle so I hope to spend more time over there in the coming year(s). We also stopped over in the town of York in a lovely old hotel. I noticed on the map that near to Guildford is a Hazelmere – which made me smile as I lived in Haslemere (Surrey) which is close to our Guildford. I wonder how come yours ended up with a Z. I’m intrigued by place names in the Commonwealth countries that have been named by settlers from the UK presumably. I shall have to have a look at the #MondayEscapes since you and Jo mention it. Thanks for calling by Jude – I thought of you when I wrote this article as I know you’d said you’d be interested to read more about Perth and WA so am glad you liked it! It’s such a lovely part of the world but often you do need the excuse to visit a family member to come out here! I have been to Fremantle a couple of times recently and have some more things to write about there so stay tuned! Margaret River is a wonderful area and we’re going down to that part of the world for a few days in a couple of weeks time (just 3 nights but will be lovely to have a break). I’ve been to York WA but years ago and we though it was so funny that it had 1 main street and that was about it (my family live in Yorkshire so I was used to a very different York)! It is funny how names are used here but changed a bit too. You also find that in the pronunciation for example Derby in the north of the state is pronounce “Durby” but spelt “Derby” and the same if there is a local “derby” between 2 sporting teams. The Avon River is pronounced with short “a” sound like in “apple” rather than a longer “ay” sound and Albany in the south of the state is also a short “a” not “Orlbany” if that makes sense! You get used to it – after a while here now I can switch depending on where I am and who I’m talking to! Perth is gorgeous through your lens and story. I have heard about Perth as it is a popular destination from Indonesia. Some of my friends were studying there. It feels like the city and nature blends in together! Sounds like a perfect place to live Rosemary and those ocean views definitely donut for me!! Having different and distinct seasons really appeals to me too – never been to Australia (yet) but Perth is now a must see!! It definitely sounds very tempting Rosemary!! Lisbon is somewhere I’ve also never visited but we are planning to go as my husband visits frequently for work – I will have to tag along next time! Hope your weekend is a great one too. Sounds wonderful! I did read up about Perth when we were considering our first (and so far only) visit to Australia, but dismissed it because, as you say, it’s a long way from everything else. We decided W Australia merited its own trip some day. Some day……. See what you mean about the French feel – and the Esplanade Hotel makes me think of New Orleans. The Indian Pacific train goes all the way across the continent – that would be fun to do I think and definitely more enjoyable than driving in my book! If you ever come to Perth just hire a car and go round Perth and environs and then drive down to the South West and Margaret River for a few days. That would be a lovely trip 🙂 Am sure your husband will love all the trips you have planned! Lovely! I’ve always wanted to visit the Margaret River area. I visited Perth back in 2009 but only briefly, unfortunately. My husband and I hired a camper van and drove up the coast as far as Exmouth. It was one of our most favourite trips ever! You live in such a stunning part of the world. I’d love to come back for another visit. Thanks for sharing! That’s lovely that you’ve had your friend over from Belgium for a visit Gin! 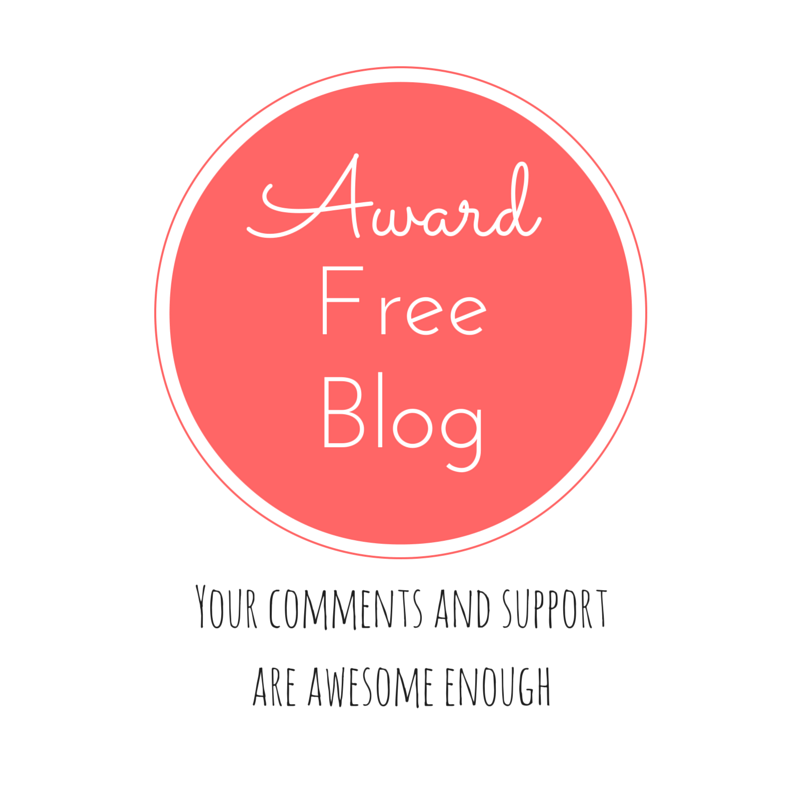 Sounds like you’ve had a great time 🙂 I have had a busy week too so have only just come back to the blog after a couple of days – there are quite a few things to balance at present! Yes it’s funny we do a lot of local driving here as Perth is very spread out and of course we drive up to the Perth Hills or down to the south west for trips but anywhere further and you accept that you have to fly. We have got used to it but I can see how isolated Perth is once I get on a plane and see the projected flight paths, which I follow on and off when we’re flying somewhere. The Perth sunsets are gorgeous 🙂 As far as I know there hasn’t been any interruption with your blog – I can see you’ve changed your email address but don’t think that should make a difference. Will let you know if there are any issues! Yes, I had a lot of fun ! It was nice to be able to speak with my friends, it’s not easy to make new ones here. I hope we will be able to meet if you come over ! 🙂 It would be nice ! I went to school in Perth for a couple of years as a teen, when my family moved there with my Dad’s work. My brother and I adored it, and not a day goes by that I don’t wish I were living back there. It’s strange, even though I’ve spent most of my life in the UK, that time in Perth was such a huge part of my life and I loved it so much, that in many ways I feel more at home there than anywhere else. I go back every year to visit friends and my aunt & uncle, and every time I go I never want to leave. One day I’ll move back…I just need a visa first which is unfortunately no easy feat with Mr Abbott in power. Looks like a wonderful destination Rosemary! I have a few friends from there including fellow sailors and you make it look as beautiful as they have told me it is. I don’t know if I will be able to make my way over there when I am down Australia way this cyclone season, but if I can, I will give you a shout. Will do. It would be so much fun!